Bharti Airtel has informed BSE that the company has acquired a strategic equity stake in FinTech Startup, Seynse, which is a Financial Technology company. Seynse has created the popular digital lending platform, Loan Singh, which enabled easy loans for credit-worthy yet under served borrowers. Seynse, incubated by Prototyze was incorporated in 2015 in Goa. It launched its digital lending platform, Loan Singh in April 2016, which provides consumers access to loans through its proprietary credit scoring engine, with a network of over dozens of partner alliances, banking institutions and individual lenders. The stock of Bharti Airtel ended marginally down on the bourses. In the last one year, it has surged by 10%. ICICI Prudential Mutual Fund is the top fund house which has invested in the stock of the company. 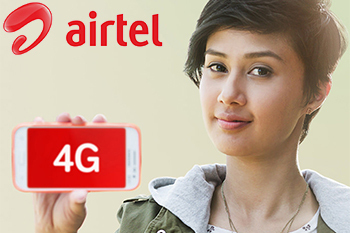 Bharti Airtel Ltd ended at Rs 361.15, down by Rs 1.8 or 0.5% from its previous closing of Rs 362.95 on the BSE. The scrip opened at Rs 363 and touched a high and low of Rs 372.3 and Rs 359.75 respectively. A total of 7045353(NSE+BSE) shares were traded on the counter. The current market cap of the company is Rs 145085.63 crore. The BSE group 'A' stock of face value Rs 5 touched a 52 week high of Rs 384.9 on 28-Apr-2016 and a 52 week low of Rs 283.95 on 09-Nov-2016. Last one week high and low of the scrip stood at Rs 379.05 and Rs 359.6 respectively. The promoters holding in the company stood at 67.14 % while Institutions and Non-Institutions held 26.39 % and 6.44 % respectively. The stock traded above its 200 DMA.